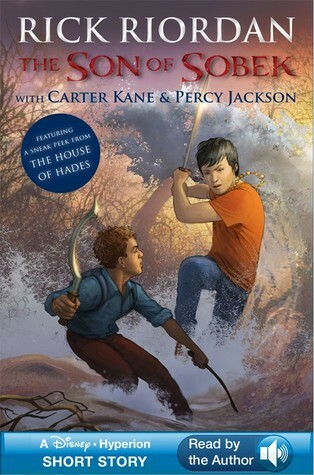 The three short stories that make up Demigods and Magicians bring together the characters of the Percy Jackson series and those of the Kane Chronicles series in a thrilling fashion. There’s a new baddie in town and for a change, his ambitions are a lot bigger than usual. Setne (or Prince Khaemwaset) is an evil magician who wishes to combine Egyptian and Greek magic to become more powerful than all the Gods. In doing so, he threatens the very foundation of the world. 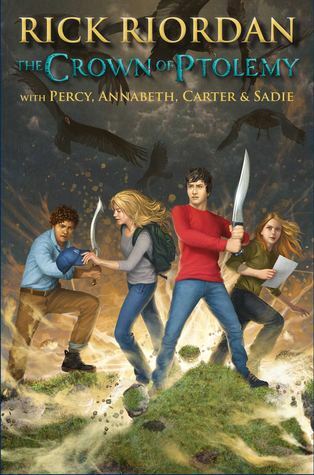 Rick Riordan has, without a doubt, become one of my auto-buy authors. I will read anything and everything that he writes. Having loved the Percy Jackson and Heroes of Olympus series, I wasn’t the least bit hesitant about picking up this collection which focused a tad bit more on Egyptian mythology. The stories were short, fast paced and an absolute treat! My favourite has to be The Crown of Ptolemy. 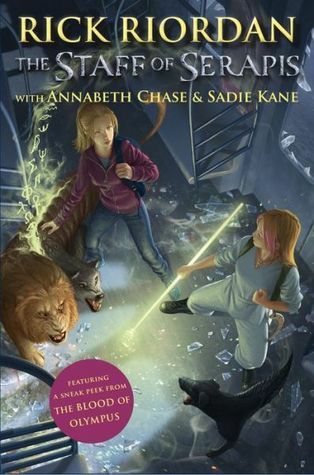 Percy and Carter’s friendship is just as heartwarming and filled with funny moments as is Sadie and Annabeth’s. Both the duos couldn’t be more unlike each other. But when they all come together at the end, oh boy. And even with the others, the interaction between characters is sketched out so commendably. I haven’t read the Kane Chronicles, but suffice it to say, Percy will always be my favourite character. He is hilarious and has a beautiful relationship going on with Annabeth. This book reminded me just how much I missed Percy’s sass and headstrong personality. Time for a re-read of the PJ series. I’ve come to realize that I love Riordan’s full fledged novels a lot more, even if they are as chunky as the Heroes of Olympus books. Because short stories don’t really do much justice to his writing style and the potential of the story. 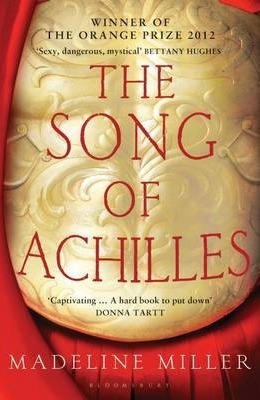 What prevents me from giving this book 5 stars is that even though I can’t pick a single fault with the stories themselves, I would have rather liked to see them interwoven into a novel than cut short abruptly. All in all, I would 100% recommend this fantastic book to everyone who is interested in mythology. What do you get out of it? Three really incredible and exciting reads that introduce you to Egyptian mythology. And if you need more motivation, have you seen the covers?